Simply put, it is the tool for professional networking. Powerful, substantive and easy to navigate, LinkedIn is the most widely used networking tool by professionals and, more importantly for you, of hiring managers. Linkedin offers access to contacts, industry insight, statistics, company information, group connections and a stage for you to launch and enhance your professional career and your brand. Need we say more? Note: LinkedIn regularly makes changes to the user interface and rolls out changes on a test basis to random sections of the user base. Therefore, what you see on your LinkedIn page may not be exactly what is shown in these videos. However, the concepts presented by the experts are current, and you will be able to easily follow and act on their advice. This next section is going to focus on Tips number 6 through 10 about specific sections of the 'Work Experience' and also a bonus tip number #11 on how to actually make your background image on LinkedIn profile. What you need to do to get recommendations. Who should you get recommendations from. How to maximize the recommendations you get to build your brand and connect with others. 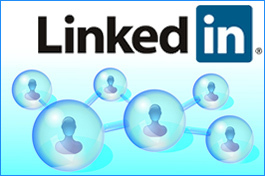 The use of Multimedia in your LinkedIn profile is the best way to differentiate your profile. It helps integrate images, videos, slides, covers of documents in Summary and Experience sections of your profile. It's a great because it provides proof of performance and helps your brand come to life in LinkedIn. You can put your client presentations, different course activities, images of you presenting, working in a team or things you want to be reinforced, etc. How to customize your headline, the 120 characters that appear right under your name to build your brand online. How to build a great LinkedIn "Summary"
Suggestions for creating a compelling Summary, the first section of your profile that a visitor sees, right under your name, headline and photo. It is your “first impression,” so make it as strong as it can be. I'll show you ways on how you can really showcase this MBA and have it to work to your advantage. Add it to your Headline - Maximize the 120 characters that go right underneath your name. First and most critical way to highlight your MBA is in the headline. If in case you can't claim the MBA or you're in the middle of completing the MBA, you can still add it to the headline by adding the word "Candidate" afterwards. In this video, LinkedIn expert, Viveka von Rosen, describes the ways of using LinkedIn Search to effectively find the right people, jobs and companies. LinkedIn Groups has changed a lot in the past year. In this video, you will take a quick look at these changes with Viveka Von Rosen. One of the best things that you can do when you're looking for a job is to connect with alumni on LinkedIn. This presentation covers the 5 simple steps to find, connect and engage with the right people through LinkedIn's alumni search. In this video, Viveka Von Rosen describes some of the best practices for connecting to new prospects or leads on LinkedIn. Viveka also suggests different invitation scripts that you can use when reaching out to these individuals. This video covers the ways of engaging with your connections on LinkedIn through commenting, sharing and liking updates of their activities, their articles and their posts or by sending them private messages.